1,807 Properties Found. Page 1 of 9. Spring Island, South Carolina, is an idyllic community that continues to and will always remain pristine and unspoiled. It is huge, spreading over 3,000 acres, and it offers the most incredible natural beauty among all communities in South Carolina. Its incomparable combination of rivers, creeks, flora, fauna and history has been preserved with passion by its handful of residents, who value these things more than anything else. With only 400 families to share and experience the stunning marvels of nature, ranging from an unspoiled maritime forest to pristine creeks, salt marshes and rivers, the community offers a priceless lifestyle to its residents. Spring Island has designed and fabricated perhaps a greater variety of amenities than any other community in the area. You do not have to leave the island to find things to do, as you will soon see. Spring Island is situated halfway between the historic Beaufort and the highly popular oceanfront resort of Hilton Head Island. The location is just 45 minutes from downtown Savannah, GA, which is the biggest historic district in the country. Some of the most amazing amenities at Spring Island include a permanent nature preserve extending over 1,200 acres with a nature center and community naturalist to assist home owners to understand and enjoy the abundant Lowcountry plant and animal life. Another remarkable amenity here is an equestrian facility of 30 acres and 35 miles of riding trails. Some of the most wonderful fishing opportunities are available here throughout the year for anglers. Fishing options are available at the local creeks, lakes, rivers, and even big game fishing on the Atlantic Ocean. The community has a convenient access to Port Royal Sound, the Intracoastal Waterway and the Atlantic Ocean. There is a community boat ramp with kayaking equipment for boaters. Other best in class amenities include a fitness center, clubhouse, fine and casual dining options and swimming pool complex. About 45 minutes from Spring Island, the residents enjoy access to a privately run hunting club that is scenically situated at the 2,600-acre Pleasant Hill Plantation. The exclusive community lifestyle and activities converge at the most stunning golf course here, which is widely recognized as one of the best residential courses in the United States. GolfWeek Magazine ranks it as one of the Best Residential Courses in America. The Arnold Palmer Signature Golf Course, Old Tabby Links, is the pride of the community. The front nine of the course winds through an Spanish moss-draped live oak forest that is over 200 years old. 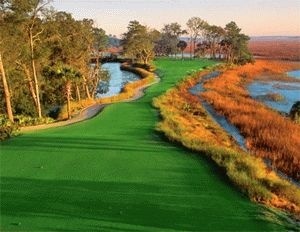 The back nine brushes against peaceful pastures and waterfront marshes. The practice facilities, the greens, and the fairways here are never overcrowded, with only about 9,000 rounds played here each year. Because Spring Island is a true island, it is surrounded by water: rivers, creeks and salt-water marshes. Thus many of the homes have spectacular water views and some have boat docks behind their homes. As in many communities in the Hilton Head and Beaufort areas, all of the homes have been specifically designed by architects to take full advantage of the views. If you have questions about specific homes or real estate in general, contact us. We're happy to help you find your dream home or lot upon which to build that dream.